On this sophomore effort, the band abandons the Hendrixian jamming of their debut and takes a long head-dive into funked-up spacerock. The style on this release is a complex instrumental mix of acidic guitar, psyched-out electronica and Middle-Eastern influenced laid back space-jazz feel. A multitude of rhythms are swirling everywhere, funky jazz grooves spice up the recipe the Funkadelic way, and a soaring sax brings the compositions to Gong‘s ‘Shamal‘ era territory and beyond. Adjectives to describe the listening experience: trippy, complex, eclectic, intense, surreal... 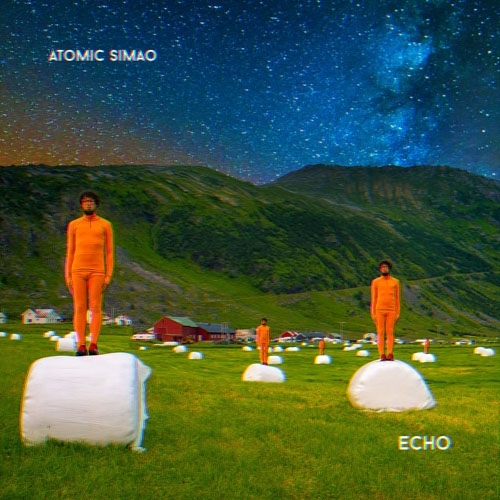 Overall, ‘Echo‘ is not what expected in comparison to the direct psychedelic jam feel of their debut, but in a way it‘s a more intense and colourful panorama of cosmic sounds and "down and dirty" grooves. This is beautiful music to zone-out. Fasten your seat belts and get ready for the take-off! Edition on TRANSPARENT ORANGE VINYL. The Garden Of Unearthly Delights 2LP col.